Existence Suggests Something Is Real - It Exists! Existence means, literally, "standing out" or "appearing". The dominant view of twentieth-century and contemporary Anglo-American philosophy is that existence is what is asserted by statements of first-order logic of the form "for some x, Fx". This agrees with the simple and commonsensical view that, in uttering "There is a bridge across the Thames at Hammersmith", or "A bridge crosses the Thames at Hammersmith", one asserts the existence of a bridge across the Thames at Hammersmith. The word "existence", in this view, is a simple way of describing the logical form of an ordinary "subject-predicate" sentence. Unfortunately, this simplistic view is vulnerable to a number of philosophical objections, and the problem of existence is one which still exercises the minds of contemporary philosophers. This article is a brief overview of those problems, of the solutions which certain philosophers have offered, and suggestions for further reading. The first problem is that, on the simple view above, any sentence of apparently subject-predicate form "S is P" must assert the existence of an entity satisfying "S" and "P". Thus any noun phrase whatsoever that is the subject or predicate of a true sentence of this form, must be presumed to denote something. This leads to the question of what is denoted in sentences containing abstract noun phrases, such as "goodness is a virtue", "blindness can be overcome", "the number 9 is the sum of 6 and 3" and so on. Are goodness, blindness, virtue etc. objects in the sense that chairs, tables and houses are objects? Worse, a sentence like "existence is not a predicate" is apparently of subject predicate form, thus "existence" must be presumed to denote something. Thus "signifies existence", cannot simply be a way of describing the logical form of ordinary subject-predicate sentence. The sentence "a bridge crosses the Thames at Hammersmith" cannot just be about a bridge, the Thames, and Hammersmith. It must be about "existence" as well. This question has divided philosophers into two classes: realists, who assert the existence of objects corresponding to abstract concepts, and nominalists, who deny the existence of such things. The subject of what things exist corresponding to grammatical categories of noun phrase is known as ontology. The nominalist approach to the question is to argue that certain noun phrases can be "eliminated" by rewriting a sentence in a form that has the same meaning, but which does not contain the noun phrase. Thus Ockham argued that "Socrates has wisdom", which apparently asserts the existence of a reference for "wisdom", can be rewritten as "Socrates is wise", which contains only the referring phrase "Socrates". This method became widely accepted in the twentieth century by the so-called analytic school of philosophy. The second problem is that both a singular sentence like "Pegasus flies" and its negation seem to imply the existence of a subject. If "Pegasus flies" is true, then something (namely Pegasus) flies. So if the sentence is true, "Pegasus" has a referent. But if the sentence is false, its negation is true. But the negation of "Pegasus flies" is "it is not the case that Pegasus flies". If this is true, then something (namely Pegasus) does not fly, and so "Pegasus" still has a referent. Whether "Pegasus flies" is true or not, "Pegasus" has a referent, and so "Pegasus" has a referent. But common sense suggests that "Pegasus" does not have a referent. Modern approaches to the problem of existence. According to Bertrand Russell's Theory of Descriptions, the negation operator in a singular sentence takes wide and narrow scope: we distinguish between "some S is not P" (where negation takes "narrow scope") and "it is not the case that "some S is P" (where negation takes "wide scope"). The problem with this view is that there appears to be no such scope distinction in the case of proper names. The sentences "Socrates is not bald" and "it is not the case that Socrates is bald" both appear to have the same meaning, and they both appear to assert or presuppose the existence of someone (Socrates) who is not bald, so that negation takes narrow scope. The theory of descriptions has generally fallen into disrepute, though there have been recent attempts to revive it by Stephen Neale and Frank Jackson. According to the Direct reference view, an early version of which was originally proposed by Peter Strawson, and (some have argued) even earlier by Gottlob Frege, a proper name strictly has no meaning when there is no object to which it refers. This view is sometimes justified by the argument that the semantic function of a proper name is to tell us which object bears the name, and thus to identify some object. But no object can be identified if none exists. Thus, a proper name must have a bearer if it is to be meaningful. To adapt an argument of Strawson's, someone who points to an apparently empty space, uttering "that's a fine red one" communicates nothing to someone who cannot see or understand what he is pointing to. Variants of the Direct reference view have been proposed by Saul Kripke, Gareth Evans, Scott Soames and others. According to the "two sense" view of existence, existential statements fall into two classes. 1. Those asserting existence in a wide sense. These are typically of the form "N is P" for singular N, or "some S is P". 2. Those asserting existence in a narrow sense. These are typically of the form "N exists" or "S's exist". The problem is then evaded as follows. "Pegasus flies" implies existence in the wide sense, for it implies that something flies. But it does not imply existence in the narrow sense, for we deny existence in this sense by saying that Pegasus does not exist. In effect, the world of all things divides, on this view, into those (like Socrates, Venus the planet, New York) that have existence in the narrow sense, and those (like Sherlock Holmes, Venus the goddess, Minas Tirith) that do not. Supporters of this view (which derives from Alexius Meinong) include Terence Parsons and Edward Zalta. The difficulty with this view is (a) that common sense suggests that there are no such things as fictional characters, places, (b) there is no strong evidence for two kinds of existential sentence as used in ordinary language. The first comprehensive treatment of the subject was by Aristotle in the metaphysics. He developed a complicated theory of being, according to which only individual things, called substances fully have being, but other things such as relations, quantity, time and place (called the Categories) have a derivative kind of being, dependent on individual things (See the article on ontology for a detailed discussion). The medieval philosopher Thomas Aquinas, perhaps following the Persian philosopher Avicenna, argued that God is pure being, and that in God essence and existence are the same. At about the same time, the nominalist philosopher William of Ockham, argued, in Book I of his Summa Totius Logicae (Treatise on all Logic) the Categories are not a form of Being in their own right, but derivative on the existence of individuals. The early modern treatment of the subject derives from Antoine Arnauld and Pierre Nicole's Logic, or 'The Art of Thinking', better known as the Port-Royal Logic. After conceiving things by our ideas, we compare these ideas and, finding that some belong together and others do not, we unite or separate them. This is called affirming or denying, and in general judging. This judgment is also called a proposition, and it is easy to see that it must have two terms. One term, of which one affirms or denies something, is called the subject; the other term, which is affirmed or denied, is called the attribute or Praedicatum. The two terms are joined by the verb "is" (or "is not", if the predicate is denied of the subject). Thus every proposition has three components: the two terms, and the "copula" that connects or separates them. Even when the proposition has only two words, the three terms are still there. 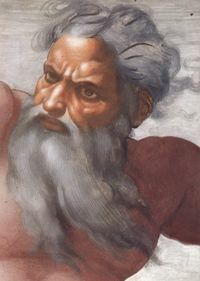 For example "God loves humanity", really means "God is a lover of humanity", "God exists" means "God is a thing". This theory of judgment dominated logic for centuries. It has the obvious difficulty, noted above, that a proposition of the form "Some A is B" is not necessarily existential. If neither A nor B includes the idea of existence, then "some A is B" simply joins A to B. Conversely, if A or B do include the idea of existence in the way that "triangle" contains the idea "three angles equal to two right angles", then "A exists" is automatically true, and we have an ontological proof of A's. (Indeed Arnauld's contemporary Descartes famously argued so, regarding the concept "God" (discourse 4, Meditation 5). The theory was current until the middle of the nineteenth century. Hume argued that the claim that a thing exists, when added to our notion of a thing, does not add anything to the concept. For example, if we form a complete notion of Moses, and superadd to that notion the claim that Moses existed, we are not adding anything to the notion of Moses. Kant also argued that existence is not a "real" predicate, but gave no explanation of how this is possible, indeed his famous discussion of the subject is merely a restatement of Arnauld's doctrine that in the proposition "God is omnipotent", the verb "is" signifies the joining or separating of two concepts such as "God" and "omnipotence". The categorical proposition "Some man is sick", has the same meaning as the existential proposition "A sick man exists" or "There is a sick man". Frege developed a similar view (thought later) in his great work The Foundations of Arithmetic, as did Charles Peirce. The Frege-Brentano view is the basis of the dominant position in modern Anglo-American philosophy that existence asserted by the existential quantifier. (As expressed by Quine's slogan "To be is to be the value of a variable). Influenced by the views of Brentano's pupil Alexius Meinong, and by Edmund Husserl, Germanophone and Francophone philosophy took a different direction regarding the question of existence. See the article on Existentialism for further detail. For manifestly you have been long aware of what you mean when you use the expression Being. We, however, who used to think we understood it, have now become perplexed (Plato). It is impossible for a thing's existence to be caused by its essential constituent principles, for nothing can be the sufficient cause of its existence, if its existence is caused by another. But this cannot be true of God; because we call God the first efficient cause. Therefore it is impossible that in God his existence should differ from his essence (Thomas Aquinas). The root of the error is in multiplying entities according to the multiplicity of terms and supposing that every term has something real corresponding to it. This, however, is erroneous and leads far away from the truth (William of Ockham). The world itself is not an entity within the world (Martin Heidegger). Many volumes might be filled with the frivolous speculations concerning the nature of Being ... the fog which arose from this narrow spot diffused itself at an early period over the whole surface of metaphysics (John Stuart Mill). Those who like paradoxical modes of expression could very well say: "There are objects of which it is true that there are no such objects" (Alexius Meinong). My mother-in-law, a famous and forceful religious leader, assured me that philosophy is only difficult because of the long words that it uses. I confronted her with the following sentence from notes I had made that day: "What is means is and therefore differs from is, for "is is" would be nonsense". It cannot be said that it is long words that make this sentence difficult (Bertrand Russell). The reality of that cup is that it is there, and that is not me (Jean Paul Sartre). To be assumed as an entity is to be assumed as a value of a variable (Willard Van Orman Quine). Like breathing, only quieter (J. L. Austin - talking about existence). Existence is what you make of it (Jack Kerouac). With the exception of man, no being wonders at his own existence. (Arthur Schopenhauer). "It depends on what the meaning of the word 'is' is." (Bill Clinton, during his 1998 grand jury testimony on the Monica Lewinsky affair.). There was a class of philosophers who at one time sat at the dinner table in deep consternation over whether their steak was indeed real or just an illusion... we don't have to worry about these philosophers anymore since the ones who were unable to deduce the truth of the existence of the steak implied by their illusion didn't eat and have since died of hunger... ( Richard P. Feynman).